With the recent popularity of essential oils showing up everywhere on the internet, I’m sure many parents are wondering if they are safe for babies and children. What you need to understand first is that essential oils are very concentrated constituents of different chemical components. This requires diligence in their use when your young ones are concerned. The first thing you need to remember when using essential oils for babies and children is that they need to be diluted more than if you used them on yourself. Also, essential oils use many different species of plants, so you must use the correct species specifically for children. All the Latin names I have included in this article are baby and child safe. When you buy an essential oil, please be sure that you are buying the one with the Latin name I have mentioned. For example, lavender essential oils have Latin names like Lavandula angustifolia or Lavandula officinale. Just make sure to look on the label. If the Latin name is not in parentheses under the name Lavender, avoid all together. First and foremost, never give orally. Any oil can be toxic if ingested. According to Robert Tisserand, Essential Oil Safety; “The majority of cases of essential oil poisoning involve accidents with young children, often between 1 and 3 years of age. Approximately 75% of cases in the USA are in children up to 6 years old.” If, by chance, your child ingests one; NEVER INDUCE VOMITING. Take the child and the bottle they ingested to the nearest emergency room. Dilution is the key to using any essential oil. There is no if, ands, or buts here. No matter the brand or how you use it, essential oils MUST be diluted with a carrier oil if you are going to put it on your child’s skin. 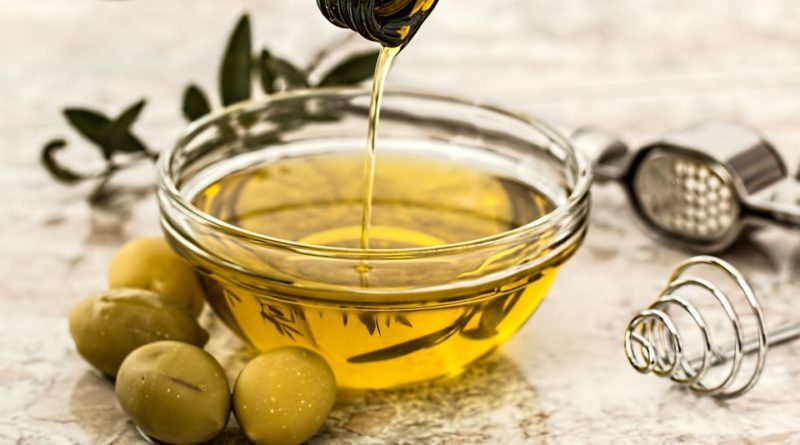 If you are adding to their bath water, the oil must first be diluted in a carrier that is water-soluble, such as vegetable glycerin or raw, unfiltered honey. Something to remember: never use around a child’s nose or in their nose. One suggestion is to massage their feet, back or chest with the dilution of carrier oil and essential oil. What are great carrier oils to use around children? Almond oil, olive oil, and fractionated coconut oil are all great oils to use. Introduce essential oils slowly, and only one at a time. You must remember when dealing with infants, you don’t know what they are allergic to yet. Introduce the essential oil you decide to use and sparingly, and then wait before introducing another one. This also gives your baby time to slowly become acclimated with that particular oil. Most children will show an adverse reaction within the first 15-30 minutes of use. When can you start using essential oils on babies? Before the age of 3 months, it is not advised to use at all. Their skin is still new and more sensitive to the oils. Newborns are just incapable of handling an adverse reaction. Many new mothers simply use hydrosols because they are safer and gentler for baby. Child safe essential oils for infants 3-6 months. Please dilute 1 drop of essential oil to 1 ounce of carrier oil. Child safe essential oils for babies 6 months and over. Recommended dilution ratio for this age is 3-5 drops to 1 ounce of carrier oil. Bergamot (Citrus bergamia) Care must be taken when using this oil and it makes the skin sensitive to sunlight. Cedarwood, Atlas/Virgina (Cedrus atlantica, Cedrus deodora, Juniperus virginiana) Can cause skin irritation if not properly diluted. preparations it is wise to use Cinnamon leaf instead. Cinnamon leaf (Cinnamomum verum) Can cause skin irritation if not properly diluted. Citronella (Cymbopogon nardus) Can cause skin irritation if not properly diluted. Lemon (Citrus limon) Use for diffusion only. If you are going to apply topically then use sweet orange essential oil instead. It is less harsh. Pine (pinus divaricata, pinus resinosa, pinus strobus, pinus sylvestris) Can cause skin irritation if not properly diluted. Child safe essential oils for children over 6. Recommended dilution ratio for this age is 10-15 drops to 1 ounce of carrier oil. Anise/Aniseed (Pimpinella anisum) Can cause skin irritation if not properly diluted. Anise, Star (Illicium verum) Can cause skin irritation if not properly diluted. Cardamom (Elettaria cardamomum) Can cause skin irritation if not properly diluted. Nutmeg (Myristica fragrans) Can cause skin irritation if not properly diluted. Peppermint (Mentha x piperita) Can cause skin irritation if not properly diluted. Even though I recommend and used these on all my children, nothing is safe unless used properly. Please introduce any essential oil slowly and with caution. And please dilute according to the ratios given. I hope you find these essential oils as useful as I have.